Bullyan RV parts department has one of the largest inventories of name-brand products in the Midwest. 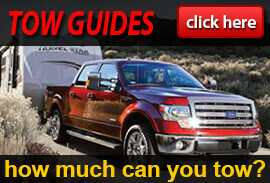 Our knowledgeable and experienced staff will assist you in finding the right accessory or part for your new or used RV. Whether it be a water heater, refrigerator, furnace or air conditioner we have a vast selection appliance parts that you will absolutely love. We have all of the parts and accessories for the larger needs of your next RV trip such as siding, windows, windshields, awnings, and large appliances including washers and dryers. If we don't have the part in our inventory, then our experienced staff will make it their priority to find the part and get it to you as quickly as possible. If you are looking to bring the comforts of home in to your RV we offer both stationary and mobile satellite systems so you can bring the game, the race, or favorite show on the road. Heading to a remote area? We sell Yamaha portable generators, as well as Onan diesel and gas generators in various sizes. How about a new hitch? We carry 5th wheel hitches, goose neck adapters, and equalizer hitches. Need to bring your vehicle with you? We sell all the towing accessories that you will need, to make sure that your vehicle can be taken wherever the road may lead. If you like shopping from your own home, we can ship parts and accessories anywhere in the United States (and to the border for our Canadian friends). If all you need is a little simple upkeep, Bullyan RV has an easily accessible dump station and the cheapest LP gas in the Northland. If you are interested in any of the other offerings that we have here at Bullyan, check out our Services page for information on RV maintenance, our RV financing page to find out how you can get the RV of your dreams today, or our video gallery to get an up-close-and-personal look at some of our amazing RVs. Or just stop on by to see our new RVs for sale for yourself!